Jatiya Oikyafront will disclose today names of its candidates who will run from all 300 constituencies in the upcoming 11th parliamentary polls. The names will be announced at a programme at 3pm today. 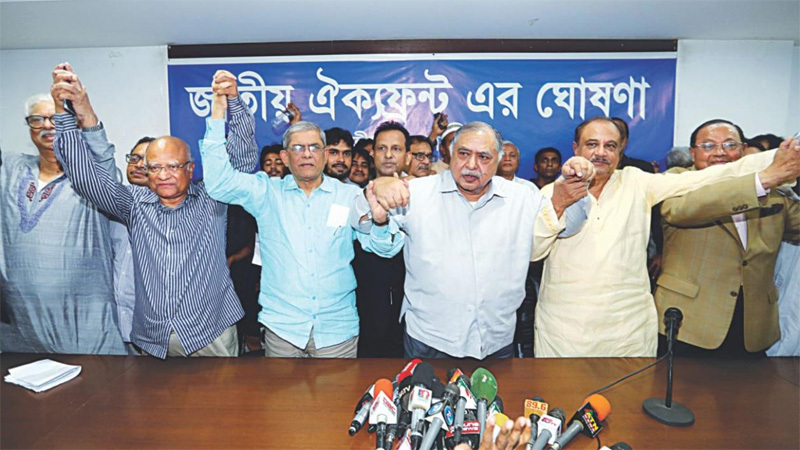 The decision was taken at a meeting of the steering committee at alliance top leader Dr Kamal Hossain’s Motijheel chamber yesterday, according to meeting sources.